WHAT DOES THE FOX SAY???!!! Have you come upon this viral video yet? It was a spoof, created by two Swedish comedians, that just went viral. Go figure! It really isn't a hard card---just kind of copy copy copy. I cut out the fox and then when attaching him to the inside of the card, I did not glue his little head down. Then I kind of forced it through the hole in the fence. It pulls back to the inside of the card as the card is opened. Have a relaxing weekend. See you on Monday. As you might realize, the Holiday Catalog will be leaving us on January 3, 2014. I've really enjoyed this catalog and will miss some of my new 'go-to' items. But.........it also means it's time to get familiar with the new SPRING CATALOG. I'm not sure if they'll be in the 2014-15 Catalog but they will for sure be available until June 2014. And that, my friends, is good news. If you'd like to make a last minute order just click on over to my online store. Or send me an email/call me and I'll do it for you. It's Tuesday and Stampin' Up! has released a new group of My Digital Studio art images for purchase and download. This Rise & Shine download will be great for documenting your daily life and memory keeping. They're designed to slip right into the pockets of the divided page protectors for the 8" x 8" Designer Album which you'll see in the upcoming (August 1) Holiday Catalog. Speaking of that new catalog, I'll be mailing them out in a few days. Please let me know if you'd like to receive one. Just send your name and address via email. If you're a current customer you'll be receiving yours in the mail soon! You can check out the rest of today's downloads here. Remember, these downloads are for use in either My Digital Studio or many other digital scrapbooking programs. Have you found your way to the center of the 2013-14 Catalog to the Mosaic Madness Bundle on page 123 yet? The Bundle consists of the Mosaic Madness Stamp Set and the coordinating Mosaic Punch. Don't you just love punches that coordinate with stamps!!?? A tip for the card above: stamp the sentiment first, to the left and just below center, using Basic Black or Black StazOn Ink. Then start stamping the pieces from the Mosaic Madness stamp set around it. Stamp and punch out some pieces using Whisper White card stock and position them here and there with Dimensionals. Then add the smaller images where needed. Add ribbon of your choice before adhering the layer to your card front. There is also a Modern Mosaic Textured Impressions Embossing Folder for adding more texture to this stamp set. However, the embossing folder is not a part of the bundle. And here's a fun card made using the Embossing Folder as well as the Mosaic Punch. And finally, to complete the coordinating products offered, check out the Quatrefancy Specialty Designer Series Paper. Check out the entire Quatre Fancy Suite on pages 120-121 to see all of the coordinating products. What fun! And the suite helps make creativity a little bit simpler with all of the neat products and neat ideas shown. I'm here to help you purchase any (or all) of these products that you might have seen with a new light today. I hope so. I must be honest and say it opened my eyes to new product, uses and ideas. 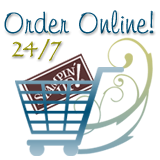 My online Shopping Cart is right up there in the upper right corner or you can simply email or call me so I can place your order. Need a 2013-2014 Annual Catalog? Let me know and I'll be glad to send you one. Just send me an email with your name, address and phone number so I can call you in several weeks to see what your favorite products are. HAVE YOU NOTICED the great bundles in Stampin' Up! 's 2013-2014 Annual Catalog? If you're into saving 15% on your purchase then these bundles are for YOU! There's nothing 'traditional' about the colors used in my Chalk Talk card. I used the new 2013-2015 In Colors Crisp Cantelope and Baked Brown Sugar in addition to Whisper White. I also used the In Color Designer Series Paper Stack, 130136, $21.95. I must confess that my first Paper Stack is just about depleted. So much fun to use! Have you checked out the bundles in the catalog? Will you now? I'll be going through each of them in the next few weeks, with a sample or sampleS. I think they're a great deal. Be sure to check them out. WHAT'S MY FIRST PURCHASE GOING TO BE? Now I can tell you what the first item on my first order from this new catalog is going to be: the new Big Shot Magnetic Framelits Platform! It's going to be so easy using this platform and not having to place 'sticky notes' (which DO work) to hold my Framelits in place. Enjoy perusing your new catalog and please ask me if you have a questions. Or make a comment below if you've found some new items that you just love. I'd like to know what products are grabbing stampers' attention so I can use those items for future blog posts. I'm going to do my best to nicely present to Retired List of Stamp Sets and the Retiring List of Accessories. Be sure to check them out. I'm so glad to say that the old stand-by, Lovely as a Tree, in the catalog for y-e-a-r-s, will not be retiring. It is such a stand-by for so many reasons. Both files are in Excel format. If you use a Mac (like I do), just view the documents in 'Numbers'. Remember if your order is at least $150, you get HOSTESS Dollars to spend anyway you'd like. The accessories go fast…hurry…go to my online store to order! HOW CAN 'HONEYCOMB' WORK FOR YOU??? You don't have to be a busy bee to have a Honeycomb work for you in a different way than you would normally thing, that still benefits others. I absolutely love the Honeycomb Textured Impressions Embossing Folder that debued in the 2013 Occasions Catalog at the beginning of January. The Honeycomb folder was used as full background, half background, side background, focal point layer. The styles ranged from festive to elegant to whimsical. Which treatment is your favorite? Do you have this folder? Have you used it yet? Would you share your card with us if you have? Just send it to me at blythe@stampinwithblythe.com (or use the link near the upper left sidebar) and I'll post it here for others to enjoy. Just click here if you'd like to have this folder in among your stampin' tools. Thanks for bearing with me. And I double dog dare you---click on the rotating catalog pictures on the right where you'll be able to get to the catalogs as well as the supplies for the two Enlish catalogs. ARE YA READY? ARE YA GUNNA *BE* READY? ARE YA THINKIN' AHEAD ABOUT *TRYING* TO BE READY? Then let's GO! I do not want to be caught as unready this year as I was last year for that busy, crazy, wonderful month of December. So truly, I am doing things to that end this year by seizing every moment I can to get a head start on the Holidays by making tags, little gift boxes and more. Have you seen --- like really looked at --- the Ornament Keepsake Bundle on page 3 of the Holiday Catalog? At first I thought I didn't really *need* ornament stamps and framelits. Then the cute ideas started showing up. Yes, I *needed* them. And I ordered them. You get a break on the Ornaments Keepsakes Bundle. If you purchased the Framelits and the Wood Mount Ornaments Keepsakes stamp set (9 stamps) it would be $59.90. If you purchsed the Framelits and the Clear Mount Ornaments Keepsakes stamp set (also 9 pieces!) it would be $50.90. But.......the Ornament Keepsakes Bundle is only $49.90 for Wood and $42.90 for Clear. That $10 or $8 savings is pretty good I'd say! This beautiful card below was created by Yvonne Brannen and I received it in a private swap just this past week. I love the subtle simplicity of the design. I enjoy the elegance of this card. I'll be sharing other cards from this swap intermittently over the next few weeks. The flowery variety of images in this stamp set did not grab my interest immediately. But it has since. Seems it frequently happens this way! Rue de Fleurs is a part of the ATTIC BOUTIQUE PRODUCT SUITE. Talk about an easy way to coordinate your projects! I just started making a 5" x 5" chipboard journal (totally unembellished yet) using this DSP. Can you guess why??? It'll definitely take me a while to finish. I like to have "me time" to get a project like this completed. There is also this package of a new type product, Attic Boutique Side Notes. They are uniquely shaped die-cut tags and accents. Just afix to your project with Snail adhesive, Glue Dots, Dimensionals, Baker's Twine........whichever and however you like. I'll be using some of them in my journal as well as DSP and coordinating card stock pieces cut with the dynamite Labels Collection Framelits. These products can all be found on pages 22-24 of the 2012 Occasions Mini Catalog. Tomorrow I'll share some of my swap cards from Leadership using this product suite. So much fun! See you then?? Today we're hopping over to page 10 of the 2012 Occasions Mini Catalog. What's that? A bird? A plane? No..........it's Superman, Silly! Well, actually, no, it's the first one. A BIRD! Honestly, until I saw some of these cards at Leadership Training, I wasn't sure how I felt about this Elegant Bird die. Sometimes all it takes is to see some beautiful interpretations of an item to bring it closer to your heart. I received this fun and funky card (above) in the Sudsol card front swap. Shelli Gardner made this card on stage. Stunning. Using the Apothecary Art stamp set, Real Red card stock and either Black Craft ink or VerksaMark followed by Black Embossing Powder. Then, using the Label Framelit (the one that just fits over the stamped image) and the Big Shot, she die cut the embossed label and attached it to a Basic Black layer (4-1/8" x 5-3/8") set atop a Whisper White 4-1/4" x 8-1/2" folded card front with Dimensionals. The Basic Black card stock is attached to the Whisper White with Snail adhesive. Next, Shelli die cut the Elegant Bird, using some DSP---can YOU tell ME which one?? ?---and the Big Shot. The bird is attached with some more Dimensionals. Earlier she had made a 'lolly' (or medallion) and embellished it with several punched pieces of card stock and an Antique Brad. She's about to slip a 2" piece of 1-1/4" Black Striped Grosgrain Ribbon under the lolly and attach it with some dimensionals or glue dots. Finally she attached the lolly to the bird with some more Dimensionals (aren't they just the best!?) and shared with the audience a beautiful card for someone very special. Except for the lolly, she made it in about 5 minutes. Set your materials out and then set your timer---I'll bet you can do it too. Did you notice that the birds in these two cards are each facing a different direction? If you've made a card (or any kind of creation) with the Elegant Bird Bigz Die why don't you share it with us? Send it to me in an email (blythe@stampinwithblythe.com) and I'll post it along with your name (you ARE the creator) and where you're from. Can't wait to see your ideas! ARE YOU READY FOR SALE-A-BRATION??? Simply---it's 2012's Sale-A-Bration Event. As in current, right now! Woohoo! An awesome opportunity to join the Stampin' Up! Family (I'll have more about the SU! Family tomorrow so be sure to check back) as a demonstrator. The Starter Kit, during Sale-A-Bration, is available for only $125 (normally $175--more than a $340 value). In addition to all of the goodies (click here for more information) in the Starter Kit, you'll receive FREE Designer Series Paper or a Digital Download each month for the remainder of 2012. Simply place a demonstrator order each month and you'll be able to choose a qualifying paper or digital download for free! And you can alternate your choices---DSP one month, digital download the next........through December 2012. Click HERE to learn more about this great opportunity. The great new stamp sets, accessories, fabric, designer series paper plus selected stamps from the 2011-2012 Idea Book & Catalog. How do you take advantage of these free products??? Choose one for every $50 you order in Stampin' Up! product. I'll share some bundle ideas later today. Right now I'm taking advantage of some 'quiet time' while my daughter and her children are out. I'm 'camping out' at their home for the rest of the week while we do some work around my stepson's house, take him to doctor's appointments, get my car repaired (ooops that simple hose repair got buried in the rush of other priorities and now the car's in the shop with a blown power steering pump), and celebrate my birthday. Why drive home (125 miles) one day only to return the next? It's so nice to have the option of staying with Andrea and her family during these crazy times!!! Thank you so much. Plus I get to spend more time with 3 of my grandkidlets. Call or email me if you need help with an S-A-B order or simply place it yourself by clicking here or on that shopping cart in the upper right sidebar. Be sure to round up to the nearest $50 bracket to get as many Sale-A-Bration items as possible. Remember, S-A-B continues through March 31st. I'm sorry the color is so faded. Brighter cards will be coming forth in the next days. If you haven't received your Sale-A-Bration brochure, email me immediately (link in the left sidebar) and I'll get one sent right out to you (customers only please, no demonstrators---we all got a free one from Stampin' Up!). Do you remember Sandwich? He's my Stampin' Up! bear that I got at our Convention a few years ago. He's always good so I take him to all of my Stampin' Up! events. Back to the cards........these are single sided cards to be used as quick notes to customers or friends as a thank you or thinking of you or........as Just a Note. And they use accessories from the the 2012 Occasions Mini Catalog and....and little sneak peak from the upcoming Sale-a-Bration Catalog. The S-A-B catalog will go live on January 24th so stand by for more sneak peaks. I love the Designer Series Paper and some of the accessories inside those pages. The new Edgelits Dies and Adorning Accents Textured Impressions Embossing Folders are just awesome AND addictive. I'm constanting thinking of how I can use them for my next project. I used them for both of my Leadership swap cards. I also used them earlier today to make my January and some February birthday cards. But I can't share those with you yet because of certain people who have b-i-g e-y-e-s.
Be sure to click on the photos for a larger image. This is pretty much a look--see--do card. I've packaged these cards up in sets of 4 and will be giving them to my two Leadership roommates, two downline who are attending, and my fabulous upline Debra Godfrey. And then I'll make some more for my own use! Accessories: Big Shot Die Cut Machine, Adorning Accents Edgelits Die, Adorning Accents Textured Impressions Embossing Folders, Punches: Scalloped Oval, Large Oval, Jewelry Tag; Lucky Limeade 3/8" Ruffled Ribbon, Linen Thread, Mini Glue Dots, Dimensionals. I hope you'll try making some of these simple note cards. Just choose a Designer Series Paper that suits you, and then select your card stocks. I cut pieces of the upper decoratively cut piece of Pool Party card stock to 4-1/4" x 1-1/2". I trimmed it using the Adorning Accents Edgelit and the Big Shot. Then I set that piece into the matching Embossing folder, lined up the design and ran it through the Big Shot. Need supplies? 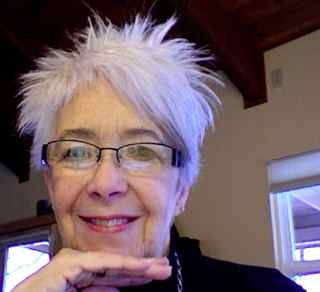 Send me an email and I'll help you out or click on the shopping basket in the upper right side bar which will send you right to my Stampin' Up! Store and you can place your own order. But..........wait until....................tomorrow! Tomorrow: I have a fun offer for you while I'm off to San Antonio and Stampin' Up! 's Leadership conference. Even though the Marriott Hotel makes getting online annoying, I'll be posting either swapped cards or a fun idea every day while I'm there. Be sure to check in. After I finished the card using the Heart Framelits I knew I had to make one with the Labels Framelits just as soon as possible. And I'd earned a free Gnome Sweet Gnome stamp set from Stampin' Up! so I wanted to us it too. I'm still going to add another embellishment to my card but I'm not sure just what yet. And since I'm not at home, I can't do anything anyway! I'll just keep on thinking on it. After you've selected the Framelits you want to use, the largest Framelit will go on your top/uppermost piece of card stock. Sounds simple but---I'll admit, it took me two "ooopes" (several hours apart) before I got it right! Attach the top layer to the next layer and then position the next Framelit and run it through the Big Shot. Then lay the top layers over the stamped layer so you can determine where to lay the ribbon. Place a bit of Snail adhesive about 1.5" from each end. Position ribbon and press on adhesive to hold it in place. Then flip the layers over and adhere the tag ends. Now it's safe to attach your layers to your card front base and send your finished card off to a friend. My girlfriend's birthday is tomorrow and she has an amazing yard--always trimmed and decorated for the season. I just realized that this will be her birthday card because she does "Light up my LIFE" -- rather than MY lawn. Our 'lawn' is non-existant. Only natural mountain landscaping! I hope you've enjoyed today's card. My vow is to be using supplies from the 2012 Occasions Mini all month. I've got 'em so I'm going to be sharing 'em. If you don't have the new Occasions Mini, let me know and I'll be glad to send you one. It's full of fun products and accessories for sure. In the meantime, you can view it via a link from the right sidebar. Check it out! After four months, the Holiday Mini (right side bar) has become a part of my daily stamping---when I have daily stamping that is! :) Anyway, it'll be time to tell it goodbye and open our doors and minds and creativity to the Occasions Mini on Wednesday. If you don't have an Occasions Mini, you can see it here. I'll be glad to mail you one if you'd like to hold it in your hands. (no demos please).